Mr. Voorhees is a member of the firm’s Tax, Trusts and Estate Planning and Corporate Sections. Mr. Voorhees focuses his practice in the areas of estate planning, estate and trust administration, business formation and planning, mergers & acquisitions, nonprofit organizations, and taxation. Mr. Voorhees’ estate planning practice includes advising clients on legal and tax issues associated with estate and wealth transfer strategies. He frequently prepares wills, trusts, powers of attorney, health care directives and other general estate planning documents. Mr. Voorhees also has significant experience in more sophisticated estate planning techniques, which often includes the use of dynasty trusts, irrevocable life insurance trusts, asset protection trusts, grantor retained annuity trusts, family limited liability companies and partnerships, private foundations and other arrangements. Mr. Voorhees’ practice also includes probate and trust administration services and the preparation of estate and gift tax returns. 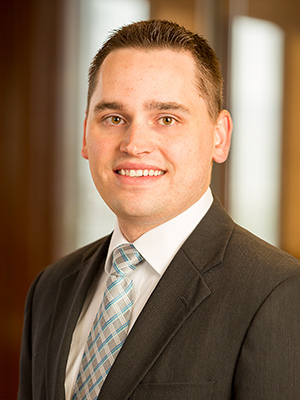 Mr. Voorhees has experience assisting clients with a variety of business transactions involving limited liability companies, S corporations, C corporations and partnerships. This includes being involved with entity formation, preparation of organizational and other corporate documents (such as operating agreements, bylaws and buy-sell agreements), representing buyers and sellers in the purchase and selling of businesses, and advising on the legal and tax aspects of these types of business transactions. Mr. Voorhees also utilizes his tax background to advise nonprofit and tax-exempt organizations, such as 501(c)(3) public charities and private foundations, with formation, obtaining and maintaining tax-exempt status, and with other IRS and state law compliance issues. Mr. Voorhees is experienced in advising individuals, families and businesses in a variety of tax matters. He regularly consults clients with regard to income tax, estate tax, gift tax, generation-skipping transfer tax, partnership tax and corporate tax issues in the context of structuring transactions and in the event of an audit. Mr. Voorhees has been voted by his peers throughout the state as one of “Utah’s Legal Elite,” as published in Utah Business Magazine (2018-2019). Prior to joining Ray Quinney & Nebeker, Mr. Voorhees was with the international law firm McDermott Will & Emery where he practiced in all areas of estate and wealth transfer planning for high net worth individuals and provided counsel for charitable giving techniques and the formation and operation of charitable organizations.